From now on, Words + Music will be an online-only magazine. We’re turning the page completely from print to our more flexible, timely and fulfilling digital edition, bringing with it even more benefits for our members, licensed businesses and anyone interested in accessing interesting, high-quality content about the increasingly exciting and successful Canadian music scene. The online-only edition will be more open and available than ever before, with opportunities for readers to comment on each story. 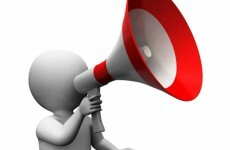 They’ll also benefit from instant, worldwide distribution: the online edition is available and easily accessible to anybody in the world with an internet connection, on any platform (smartphone, tablet, laptop, home computer, etc. ), anytime, anywhere. You’ll be able to read much more timely stories, posted when ready. The ratio of those SOCAN members desiring coverage in Words + Music to available editorial space in the print magazine was about 20-to-one, so sometimes even SOCAN members who were clearly worthy of coverage were unable to receive it. The advent of the online-only edition, with no space limitations, will allow us to not only cover more of these laudable SOCAN members, but also expand our coverage to include music users Licensed to Play by SOCAN. We’ll simply be able to bring you more information. With the quarterly print edition, you had to wait three months before reading about your fellow SOCAN members, which could render some of the magazine content a little dated. In the online edition, you’ll be able to read much more timely stories, posted when ready, so that we’re even more current and relevant to the passing scene. Our costs for the printed magazine, both the English and French edition (Paroles & Musique) – which include design, printing, postage, and other expenses – were very high (several hundred thousand dollars), and increasing every year. Except for contributor and photographer fees – which, while among the best in the Canadian music industry, comprise a very small portion of those costs – that money can now be put into our members’ hands instead. The cost to the environment was far greater with the print edition as well. In 2013 alone, we printed about 1.6-million pages, sacrificing a significant number of trees. Online, we don’t have to destroy any of them, and we avoid the environmental impact of running a printing press to create more than 50,000 copies and ship them across our vast country. 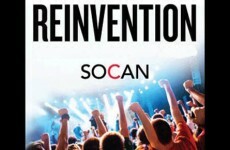 For the past two decades, SOCAN has always embraced the digital world to better reach our members, in new ways, wherever they are. Our social media numbers more than 30,000 followers; our website (at socan.ca), digital magazine, (at socanmusic.ca), SOCAN blog (at socanblog.ca), and online annual report (at socanannualreport.ca) bring more news and information to more readers and viewers than ever; and we’ve also introduced mobile versions of our website and online magazine. Moving the magazine completely to online is just the latest step in our necessary adaptation to technological change. We expect that Words + Music online, which will be redesigned in 2015, will provide an excellent end-user experience. There are those who, understandably, feel sentimental about holding a paper magazine in their hands. But paper is slow in reporting, expensive to produce, limited in editorial space, restricted in distribution, and environmentally wasteful. It only makes good sense to move exclusively into the online world, so that we can commit more time and resources into making the digital version great. We’re closing the book on print, but the story continues, even better, at socanmagazine.ca. Thanks for being a part of it, as we turn the page to the next chapter. 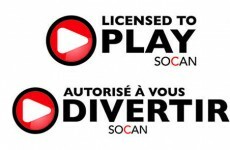 SOCAN considers organizations that use music, including digital music providers, as partners. L’année 2009-2010 aura été riche et faste pour le compositeur, pianiste et éminent pédagogue Gilles Tremblay. Pour ses 50 ans de créations, c’est toute la communauté de la musique contemporaine québécoise, créateurs et interprètes, qui soulignait l’importance de l’œuvre de ce pilier dans une grande Série Hommage initiée par la SMCQ et ses partenaires. Au fil des quelque 55 concerts et événements qui mettaient tous au programme une œuvre de Gilles Tremblay, plus de 40 000 personnes auront entendu sa musique, un véritable cadeau ! La SOCAN soulignait aussi cet anniversaire en remettant à Gilles Tremblay le Prix Jan V. Matejcek pour la nouvelle musique classique à son récent gala. Le riche parcours de Gilles Tremblay s’inscrit en effet dans la continuité : ses débuts sous l’enseignement des maîtres du Québec (Claude Champagne, Jean Papineau-Couture, Isabelle Delorme, Jean Vallerand et Germaine Malépart), son passage marquant en Europe auprès d’Olivier Messiaen, Pierre Boulez, Iannis Xenakis, Karlheinz Stockhausen et Pierre Schaeffer, ses séjours au Moyen-Orient et le choc des sonorités balinaises. Entre autres. Et c’est sans compter les 35 années où il a enseigné la composition et l’analyse musicales au Conservatoire de musique du Québec à Montréal, transmettant du même coup aux compositeurs qui forment aujourd’hui la relève, un héritage des désormais anciens, ceux qui ont forgé l’éclectique musique du XXe siècle. Bien que l’année hommage à Gilles Tremblay tire à sa fin, on pourra réentendre des extraits de son opéra L’eau qui danse, la pomme qui chante, et l’oiseau qui dit la vérité (2009) le 14 mai 2011 alors que le Nouvel Ensemble Moderne donnera un concert explorant les 20 ans de créations de l’organisme Chants Libres. It’s really all about fairness. You’d have to be living under a rock not to be hearing the raging debate about royalty rates and the value of music in the rapidly evolving digital and online music world. The bottom line is, “What is fair?” Obviously, there are many important links in the musical value chain, and in a respectful ecosystem all parties need to fairly share in whatever revenue is being generated. Without songs and performers, record labels and music services that distribute and facilitate access to music, our world would be a silent and desolate place. The importance of music in our evolution and civilization traces back to the dawn of mankind. Simply, there was music long before there was a music business, and there will still be music long after the current methods of its dissemination will be seen as archaic and primitive. Just as music and the music industry have survived these changes, so shall we, by innovation and reinvention. 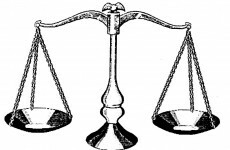 The business as we know it has evolved generally in the last hundred years or so, although performing rights and music publishing started as far back as the late 1700s. Throughout the 20th Century, business models took shape and the division of roles between creators, performers, publishers, radio and record companies evolved into the landscape we came to know, for better or worse. But the horizon looks hazy and unrecognizable, just as it did with every technological shift in our industry, from piano rolls to recordings, from radio days to the internet age. Just as music and the music industry have survived these changes, so shall we, by innovation and reinvention, building on the strength of systems that seemed to work in the past, and finding new ways that can hopefully treat all rights holders fairly, transparently and respectfully. 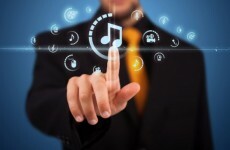 Many of these new digital music services, while they have yet to realize significant profits (or any profits at all), still seem to generate millions in shareholder and equity value, as well as for their senior executives, while feeding very little back into the music value chain for creators. 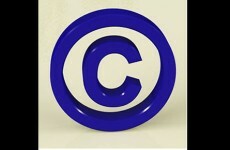 Likewise, large internet service providers, through whom music and other intellectual property appears to flow freely – and to the great benefit of their bottom line – also contribute nothing back. Clearly, the current situation needs to change. At a recent CIAM (The International Council of Creators of Music) Congress in Nashville, a report was released entitled Fair Compensation for Music Creators in the Digital Age, commissioned by Music Creators North America (MCNA) and other international creator alliances with the support of SOCAN. The report, part of the Fair Trade Music initiative, was immediately endorsed by CISAC (International Confederation of Societies of Authors and Composers). Primary findings state that up to 80 percent of revenues generated by streaming services should be transparently paid to the rights holders, and the report also recommends a 50-50 split between compositions and recordings. 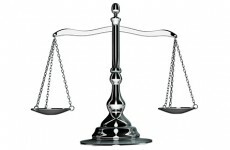 The study points to a strong and clear standard, a “True North,” in trying to define fairness. As the debate continues, perhaps all parties need to grab their compasses.